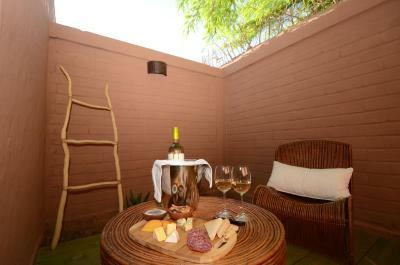 Lock in a great price for Hotel Pascual Andino – rated 9.4 by recent guests! The property was in a great location. Very clean and comfortable. Diego and Carlos were very helpful. Highly recommend! 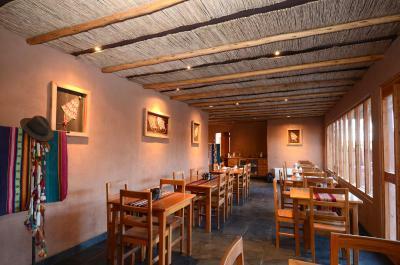 Very convenient location and really desert chic decor and vibe. 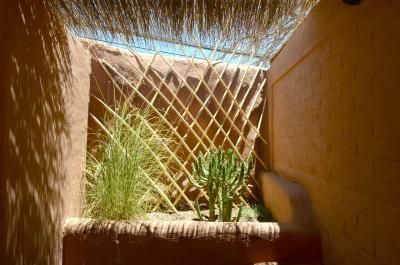 The beds were amazingly comfortable and long for its width. The room always smelled wonderful when we entered. I wish we spent more time there and had some pool time as well! Great location and facilities, helpful staff. They have bicycles that you can use free of charge and it's really nice to go around on a bike. I would recommend staying here. 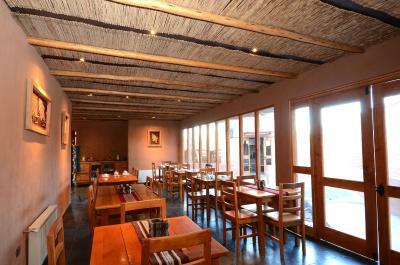 The staff was so helpful, friendly and accommodating. The facilities were lovely. The breakfast was superb, even for a vegan! And it was so nice that they have bikes available to use. Wish we were staying longer. 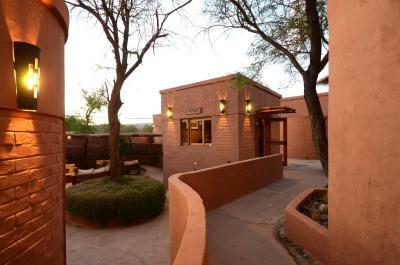 The rooms were very clean, mattress was perfect and the bathrooms were very modern and roomy, the little patio each room has was a great for relaxing, the staffs were very helpful and friendly. Good location a block off Main Street and noise. Very friendly staff. Very clean. Breakfast was great, staff very helpful. Am recommending this hotel. Quaint accommodation. Compromises 10 units. Located off the Main Street. Small and intimate. 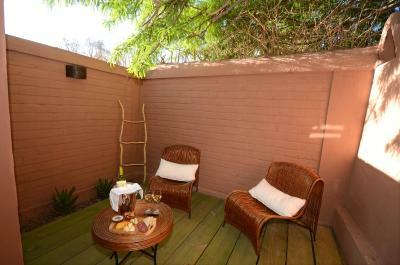 This 10 room boutique hotel is located on a quiet corner and just blocks to all shops and restaurants. 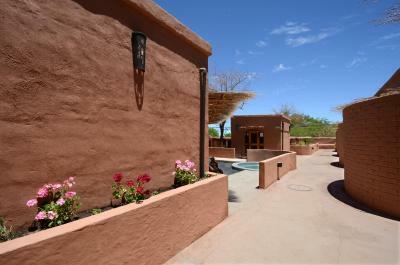 The rooms are great with beautiful bathrooms and private patios.There is a small swimming pool and a relaxing covered common sitting area. A delicious breakfast buffet with cooked to order eggs is included. The staff is most friendly and helpful. 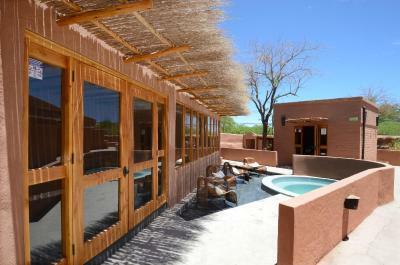 One of our top picks in San Pedro de Atacama – and a guest favorite. 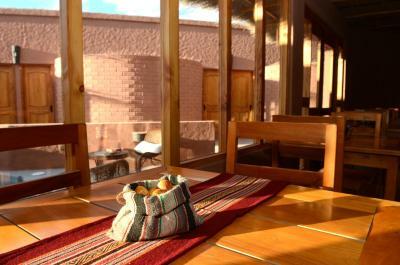 Only 350 feet from Caracoles, the town's main street, Pascual Andino has cozy rooms in San Pedro de Atacama. 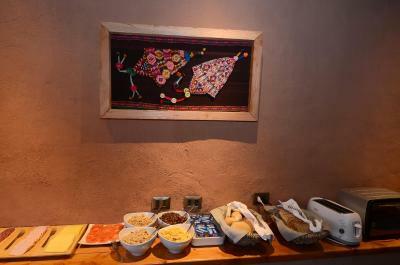 A daily buffet breakfast is offered. Wi-Fi and private parking are free. 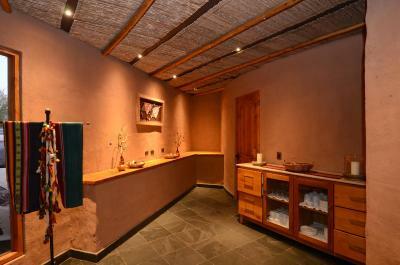 Comfortable rooms are equipped with private bathrooms with showers. Extras include a safety deposit box. 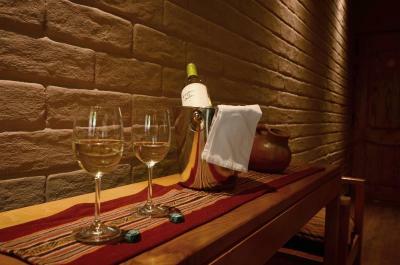 At Hotel Pascual Andino you will find a 24-hour front desk and a garden. 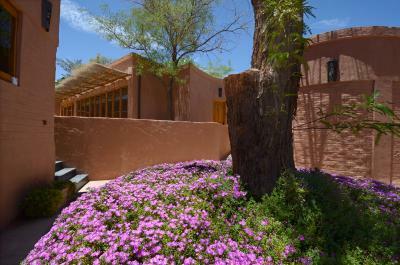 Guests can stop by Padre Le Paige Museum, 500 feet away. El Loa Airport is 62 mi away in Calama. 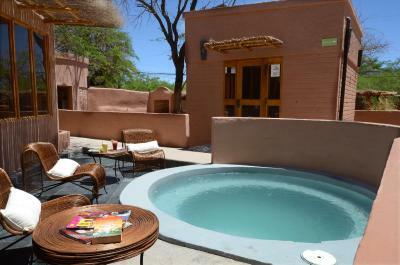 When would you like to stay at Hotel Pascual Andino? 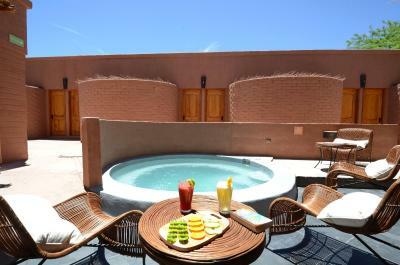 Pascual Hotel Andino has 10 elegantly decorated rooms, all with a small private terrace where you can admire the beautiful starry nights of San Pedro de Atacama, in addition to a comfortable pool to cool off on hot days in the Atacama Desert. House Rules Hotel Pascual Andino takes special requests – add in the next step! Hotel Pascual Andino accepts these cards and reserves the right to temporarily hold an amount prior to arrival. The tiles in the shower were extremely slippery when wet - be careful! The safe was too small. Couldn’t fit any of our laptops in it. It would have been helpful if there was a sign in the toilet telling us not to flush the toilet paper in the toilet bowl. Minor point, it would be good the allow guests to signal when they want the sheets or changed. Excellent location. Very close to the Main Street. The staff were friendly, knowledgable and helpful. There is always someone there at the property. Even though it can get quite hot in the afternoon, but the rooms were still cool and do note there isn’t air conditioning in any of the rooms. There is coffee and tea facilities all day long in the breakfast room and they provide packed breakfast if you have an early start. Great service, location was a massive bonus and the car parking was super convenient. 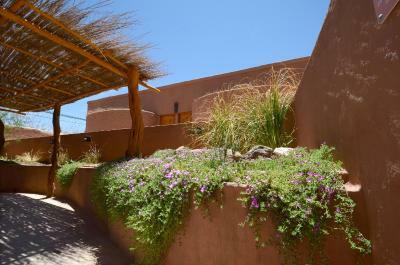 It was great to have an amazing place to come back to after driving and walking in the desert. The room did nor have AC (I doubt many in San Pedro do) and there was not a window to open. Had to leave the patio door open at night for cool air. Comforter is a bit too thick and heavy. Otherwise, everything is amazing! AMAZING and AWESOME! 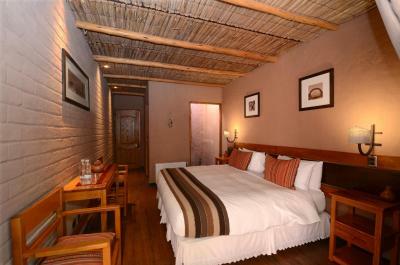 Spacious room and bathroom! 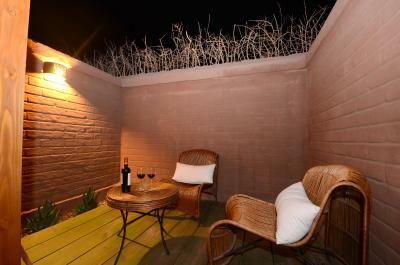 The nice quiet patio is so suitable for chilling and star-gazing at night!! Breakfast is great and they even provide snack box when we have to leave early. The common area is beautiful. The pool is small but pretty cool. Everything is so perfect about this hotel. 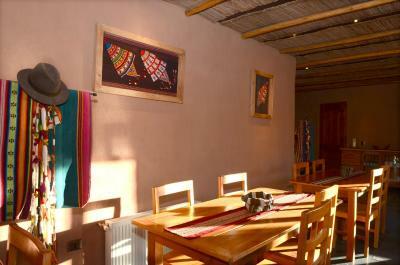 Location is a slightly off the center, which makes it a quiet place stay in San Pedro. The closet was too high for me to reach the hangers! Very minor issue. We found Pascual Andino to be super comfortable, well located, and clean. Breakfasts were great. And the staff - Leticia, Carlos, and Maria Jose - all went out of their way to be helpful. They spent tons of time with us giving us advice on where to go and how to get there. 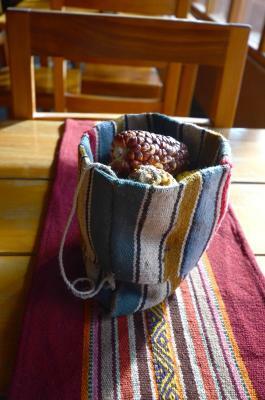 The location is near a number of good restaurants, and walking from here to the Plaza and the main shopping street is easy. Staff extremely helpful and friendly. Breakfast was amazing! We ended up using the pool and was great too! Amazing hotel. 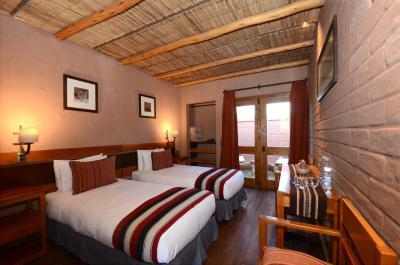 The team was super nice and helpful at all times, breakfast was excellent and so were the bedroom and common areas. We had an amazing time there.